Dental hygiene is important at any age and that includes regular trips to the dentist. Now, I know that a trip to the clinic is not anything to look forward to and a common tendency is to put off the experience for as long as possible. My last trip was around 5 years ago!! Shock, horror, I know! I just got too put-off by how expensive clinics are and now that I live out of home, you don't have your parents worrying about your health and nagging at you. This is not anything to be proud of and really you should be going to the dentist for a check-up every 6 months. I will definitely be keeping up with the dentist from now on and believe me, it's so much easier once you just first bite the bullet. You will be surprised at how simple a check-up is. For me, a poor university student, I seriously did not want to fork out hundreds of dollars for a trip to the dentist. 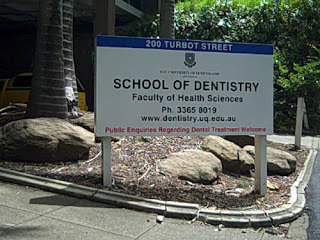 So I did my research and spoke to friends and family and thought I would try my luck at the Brisbane School of Dentistry which is run by the University of Queensland. Some people shun at the idea of having a student work on your teeth but I actually found the whole experience quite pleasant (as much as a dental trip can be pleasant that is). The student I had was confident, spoke to me and made me feel very relaxed and explained everything he was doing and when he was doing it. The extra incentive is that if you have a health care card, a check-up (including x-rays) is free! Normally it is around $60 which is still severely discounted compared to a private clinic. Because they are students who are performing the tasks it will take a little longer, I think I was there for just under 1.5 hours. But it is not like they have their hands in your mouth that whole time. They just take a little extra time to write up their notes on the computer. The time frame honestly didn't bother me as much as I thought it would. The students performing tasks on the general public are 3rd year students so they know their stuff. There are also so many supervisors walking around overseeing all the work. Plus all work is double-checked by the supervisor. - The student will sit you down and ask you some brief questions about your dental history and if you have any concerns you want checked out. Remember; if you feel uncomfortable at any time you can voice your concern and a supervisor will take over. - The bib is hooked around your neck and the glasses are placed on... now it's starting to feel like the dental van. First your jaw, tongue and bite are checked. - The student will then start to poke around your mouth checking your gums and tissue. - More poking and prodding, on the teeth now. Make sure you let them know if you have any sensitive areas beforehand so they can take care around those areas and not catch you off guard. - The initial examination is complete and your personal dental hygiene and eating habitats are discussed while you wait for a supervisor. - The supervisor comes over and they too will poke and prod around in your mouth while the student calls out what they have noticed and the supervisor ticks off on all work. - X-rays are done in a separate area (this literally took about 5 minutes) and then the trip is complete! There was one point I had 3 people all peering into my mouth, but overall I was pleasantly surprised with my experience and I am recommending it to my friends and family. I do have to go back for a quick filling and a clean so I will let you know how that goes. 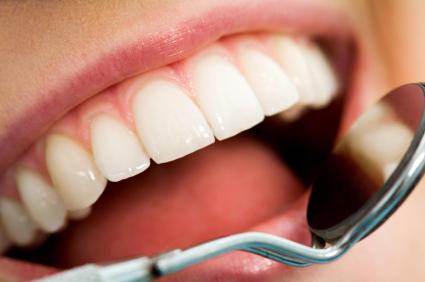 The costs of a dental appointment are outstanding and if you can get it at a discounted price then go for it. I think it is a great idea to make use of professionals in training. They are almost qualified anyway. Being a uni student (Speech Pathology) I have to do therapy sessions with real clients too. We have the knowledge but we need to be given the opportunity to gain some experience. Oh, and I go to the dentist once a year, yes I know, I should do it more often. Thanks for the comment Madi. I have friends doing speech pathology and occupational therapy and its the same with them. They do heaps of theory and visit various clinics to gain real world experience. You have provided your readers with a blog that is really informative and entertaining at the same time. Well, it is natural to feel fear, when you visit a dentist especially during your first time. To overcome this, ask your friends and relatives that have gone through any dental problems or surgeries. 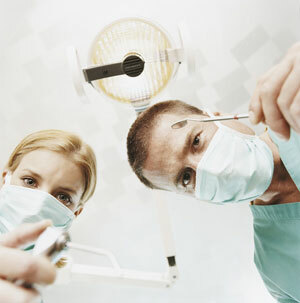 Their feedback can be your basis before going to the dentist. Actually, for some who have gone through dental cleaning did not regret it. They are thankful instead because they are more confident in going back to the dentist. It simply shows that there’s nothing to be worried about. I agree that we should not be afraid of the dentist. they help us get the smile that we wanted and also get rid or fix our damaged teeth. Clik here for information on Richmond dentistry. 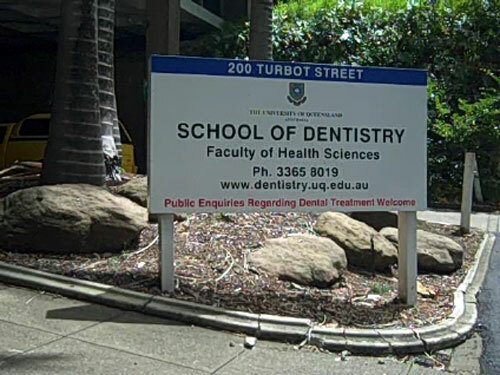 In the past, you might be considered crazy for going to student dentists. But, this is becoming a trend today and continues to get more popular. There’s no need to worry for receiving sub-par treatment, as most student dentists are supervised by their professors and mentors. Awesome post !! I am also agree with your great idea.Seriously,there is no need to worry for dentists or their treatments. Thank you for providing nice post. Here I got useful information about Components of a Dental Implant. Great post.There is no need to worry for your dentists or their treatments.Thanks!! Great and very informative post...! Patients really don’t need to fear any Dentist. Patients who want to avoid future fillings, cavities or crowns, should follow their dentists recommendations for daily flossing and brushing. This will save patients from experiencing additional bills from tooth decay or poor tooth care.